I love playing travel matchmaker - pairing friends and family with the perfect hotel, restaurant, store or adventure that’s ideally suited to their temperament and budget. So, when my friend Julie, a well-traveled VP, called recently looking for lodging recommendations for an upcoming business trip to Dublin, I couldn’t wait to match her up with the stylish DYLAN HOTEL, the city’s hippest 5-star boutique hotel. One of my favorite perks of staying at The Dylan is the ipod Nano with rockin’ soundtrack and Bose speaker dock that’s provided for use during your stay. Plus, the Dylan’s center-of-town location in a quiet enclave off Baggot Street puts Dublin on your doorstep. Download Dublin Tourism’s free iWalks podcast city guides to the Dylan Nano and step out to see the city on your own. LuxeLowdown: Additional pampering extras that bring more than a little luxury to your custom designed room include 7th Heaven memory foam beds, Italian marble bathrooms with radiant floor heating, complimentary WiFi (YAY! ), and an in-room Movie Menu with Haagen-dazs ice cream and hot buttered popcorn to compliment the plasma screen TV. Where to eat: STILL, the hotel’s unpretentiously impressive restaurant offers the pick of prime ingredients and an innovative menu. Need an aperitif? Drop by the Dylanbar, a low-lit mod hangout popular with Dublin’s glam crowd. How to get there: For the best fares to Ireland visit www.aerlingus.com. 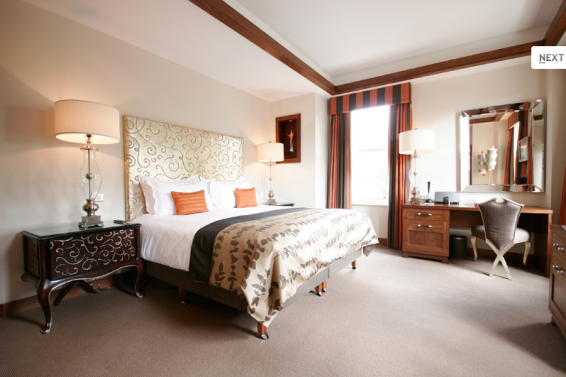 Learn more about The Dylan and other luxury hotels at the Kiwi Collection.